Iplan Consulting lead the collaborative effort between Circle G and William Lyon Homes that kicked off in 2004 and received final approvals in 2013. 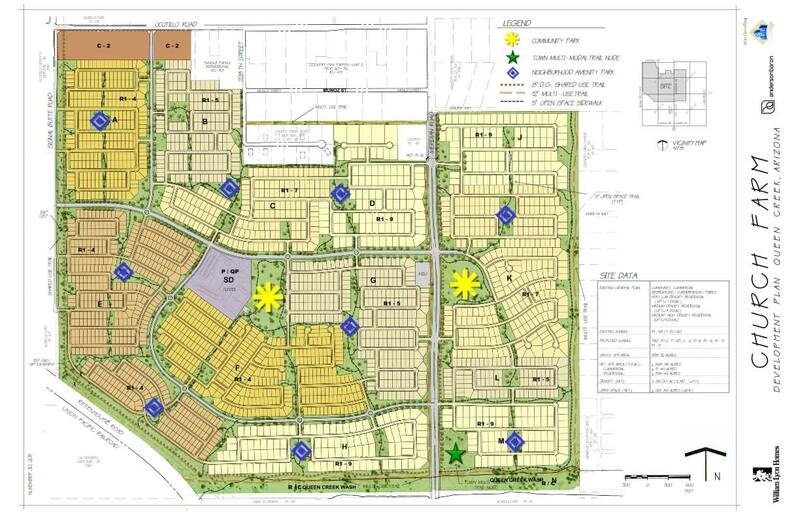 At 879 acres, Church Farm is the largest Master Planned Community in Queen Creek; therefore, it was heavily scrutinized by the Town Staff, Council, and citizens. Entitlements included two separate General Plan Amendments, a master rezoning with PAD overlay, PAD Amendment (adding density) and numerous Preliminary Plats. This massive project which will be built over the next decade, is entitled for 2,310 units for a density of 2.89 dwelling units per acre, and features one of the most unique amenity programs in Arizona.